Before booking an unforgettable vacation in Bretton Woods, browse all of our deals to help you save on your stay at Mount Washington Resort. Whether coming to hit the slopes or the fairways, find the perfect package to meet your needs! For reservation assistance, please call (800) 680-6600. For information regarding activities, please call (800) 258-0330. Guests who choose to stay at Omni Mount Washington Hotel or Omni Bretton Arms can also browse special deals. + Children under 16 are not permitted in The Spa. ++ Minimum age is 12; Minimum weight: 90 lbs; Maximum weight: 250 lbs. 12-17 year olds must be accompanied by an adult. 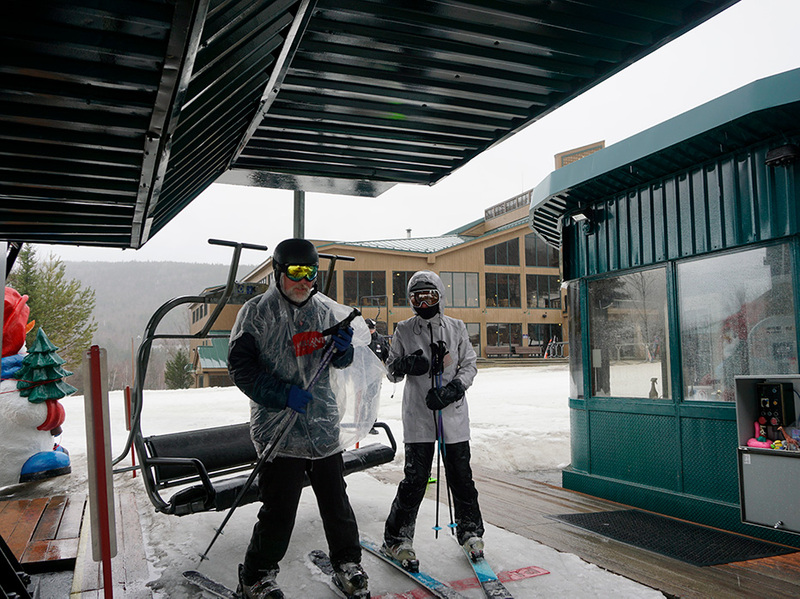 +++ Lunch includes entrée, side and non-alcoholic beverage at ski area dining venues. Ski season is early-November to mid-April. ++++ Lunch includes selection from special menu and non-alcoholic beverage at The Grille. The golf season is early-May to mid-October. No credit or refund will be issued for unused portions of this package. Example: This means that if a guest chooses not to ski, spa, canopy, etc. (included in their package), there is no credit, exchange or refund issued for that. If for some reason, the hotel has closed the ski area, spa, canopy tour, etc, a credit, refund or exchange may be issued, based on occurrence and the circumstances. Package rate does not include gratuity. PLEASE NOTE: Not all packages are available at all times. Black-out dates, minimum length of stay and other restrictions may apply. Packages may not be combined with other packages, discounts or promotions. Rates are subject to change without notice. Please call (800) 680-6600. Perfect for the guest that wants to customize their stay with choices of personalized enhancements and amenities. Build your own package to include in-room amenities, dining, spa, recreational activities and much more! A selection of choices are available for you to choose from when you book this package... It’s all up to you! Please make your customized selections during the booking process. *Lodge rates are per person, per night, based on double occupancy. Townhome rates are per person, per night and based on two adults per bedroom. Packages and specials may not be combined and are not available for groups. Offer subject to availability, 9% NH Rooms & Meals Tax and Resort Services charge. "From" rates are listed as a general guideline to rate availability and prices as of the date of the posting of this promotion. Rates are dynamic and change daily based on consumer demand and occupancy levels and are subject to change without notice. Mount Washington Resort reserves the right to change rates based on these factors without notice. Not all packages are available at all times. Black-out dates, minimum length of stay and other restrictions may apply. Packages may not be combined with other packages, discounts or promotions.